Our firm specializes in drafting high quality patent applications in electrical and mechanical technologies. Since 1999, our firm has drafted thousands of patent applications, and through the use of our second attorney review process and our uniform writing style we ensure high quality patent applications. Our attorneys take a litigation-focused approach to preparing patent applications. We draft specifications and claims in light of all relevant case law. 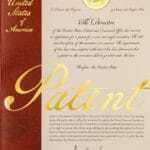 100% of our Partners are former USPTO Patent Examiners, as well as, a large number of our associates. This experience informs our practice and provides our entire team with insider knowledge of the inner workings at the USPTO. Our team of attorneys utilize the most advanced patent analytics to provide superior patent prosecution services.